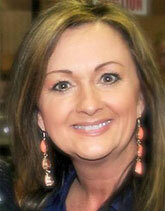 Dr. Dencie Lee is the founder and CEO of Dencie Lee School of Performing Arts. She is an accomplished musician, singer, and songwriter. A pianist and vocalist for more than 45 years, music comes naturally to her. A songwriter, studio musician, and vocalist, Dencie has recorded several projects throughout her career. Experienced in writing and directing theatrical productions, she also teaches piano, voice, dance, and drama. Dr. Lee earned her Bachelor of Arts in Religious Education from Calvary Theological Seminary and Doctorate of Divinity from Cornerstone University. Eighth year instructor at DLSPA, Debbie teaches art, theater arts, academic tutoring, and video editing. She earned a Bachelor of Science degree in Elementary Education and a Master of Science degree in Multicultural Education at UHCL. Debbie is an elementary art teacher in Goose Creek CISD as well as having taught elementary music in the beginning of her teaching career. In addition to playing bass in her church’s praise and worship band, Debbie creates videos for her church and school, has taught video editing classes for teachers, and is the webmaster for her campus. Blair is an eighth year instructor at DLPSA and is Dr. Lee's daughter. She instructs the intro to music class, vocal group and a select group of private voice. Blair is a certified music teacher. She also teaches STAR TRACKS, which is DLSPA's academic tutoring department. She earned her Bachelor of Science degree in Interdisciplinary Studies from UHCL, and is currently working on a Master of Science in Education Administration. 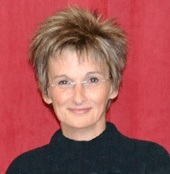 Blair is an 11th year elementary teacher and has been involved in the arts for 25 years. 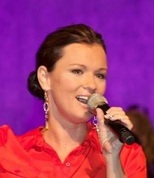 She is a sought after vocalist in the area for large events such as NHRA Finals and Bay Area Relay for Life. Currently Ms. Blair is the Music Teacher at Barbers HIll Elementary North.